← Tailgate 32 features “Stumped” on web series! 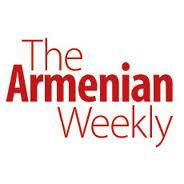 Press Coverage by The Armenian Weekly and The Armenian Mirror-Spectator! Press from two beautiful publications! This is Sharon ADamopoulos…awhile ago u sent me updates on your travels. I saw your Baba yesterday &he surprised me with your CD! Hmmmmmm. I’m now 62 yrs old & the ladies in dad’s office said….well, it just wasn’t their style. I DISAGREE! I LOVED IT. Really! I have listened to it twice…so far my favorites are Dizzy in Dreams and CROWDS IN THE STREETS? Is someone playing the Bazoukia? Truly loved the instuments. I could definitely hear your wide ability of music some Armenian, some Greek, some Blues. You should go on American Idol….lol….just to get the advertisement. I’m not sure how to do this…but I have 2 Greek nieces who would eat you up…and one friend of mine who lives on the island of Rhodos, who would love to hear it. I’m also friens of thr GREEK Air Force. My one niece is ~27 yrs old, she is always sending me music….& yes…they r fluent in ENGLISH! I am so proud of you, Raffi! I know you r kind-hearted and since ur graduation party from high school, I knew you were talented, BUT had no idea how many instruments you write music for. Please let me know if u r okay with my sending your music to ANTIGONE, mostly. She’s more of my wild child. my nieces have not had an easy life. Their mom died from kidney cancer when she was only 38 yrs old. Antigone was raised by her Baba and her sister, Villi. She is now ~28. Keep making people happy…r u on Facebook? I know they will ask!